Greenhouses enable plants to grow outdoors whilst being protected from cold conditions and harsh winds. Greenhouse plants mostly harness the power of the sun, but sometimes supplemental lighting is needed when sunlight hours aren't optimal. Greenhouses are an important technology in the eyes of gardeners. They allow growers to save energy when it comes to lighting and heating by taking advantage of natural resources. At the same time, they don’t expose plants fully to the elements of the outside world. They protect against harsh winds and cold snaps, whilst enhancing heat and light. Perhaps the greatest benefit of cultivating within a greenhouse is the extension of the season. Growers can utilise the sunny skies of early spring and late autumn, periods when plants don’t thrive particularly well outdoors. This enables growers to get a headstart on the season, and also means extra time at the end of the season to let plants fully mature. This is especially useful in regions of the world that experience shorter summers. Although most greenhouse grows will do well using just the light of the sun, some cultivators opt to install supplementary lighting to achieve maximum yields. This may seem as though it defeats the purpose of using a greenhouse in the first place, but it still means using less artificial lighting than when growing entirely indoors. It also means plants get access to full-spectrum natural sunlight, only to be topped up with artificial sources when necessary. Sunlight offers greenhouse plants optimal full-spectrum light, yet not all greenhouses reside in optimal conditions. During the beginning or end of the season, or in particularly cloudy regions, plants may still fall short of obtaining optimal light exposure. Supplemental lighting is usually considered in regions that receive less than 4–5 hours of good sunlight each day. Light cycles of between 18–24 hours are used during the vegetative phase of the grow cycle, making it necessary to install additional lighting after the sun has set and before it has risen. The shift to a light cycle of 12-12 is what causes photoperiod strains to enter the flowering phase of the grow cycle. Outdoor plants don’t necessarily require the same manipulation of the light cycle, as the natural cycles of the sun cause this shift naturally over time. However, supplemental lighting can still be used to extend the light cycle to as long as possible, within the flowering boundaries. Some growers may even intend to cultivate throughout the winter months, leading to a definite need for artificial lighting. Lighting costs are still lower in a greenhouse, as lamps won’t need to be turned on for as many hours during the day when compared to an indoor growing operation. Because light is needed for the process of photosynthesis, if plants are lacking in this vital resource, then resulting growth and yields will be suboptimal. When it comes to installing supplemental lighting, there are numerous types growers can choose from, depending on their needs and preferences. There are 4 primary categories of lamps frequently used within horticultural settings: incandescent, fluorescent, discharge, and LED. Light spacing within a greenhouse will be spread further apart than with indoor setups due to additional light from the sun. Greenhouse grows will usually feature ⅓ to ½ of the lamps used indoors. 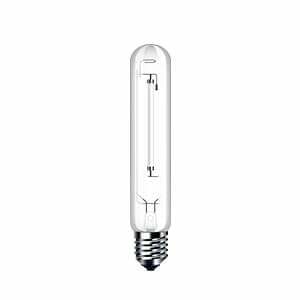 Incandescent lamps are not the most efficient, but are often used effectively to break the dark of nighttime up into sections to provide longer periods of light. 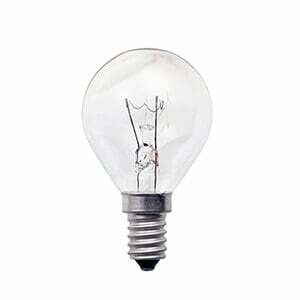 These bulbs provide light via the heating of an internal filament. 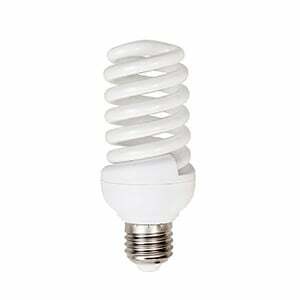 Incandescent bulbs are relatively cheap to run and can be cycled on and off. They feature good radiant power and emit a wide spectrum of light wavelengths. Fluorescent lamps are an efficient option for greenhouses and often last quite a while. They also produce less heat, lowering the risk of them overheating. 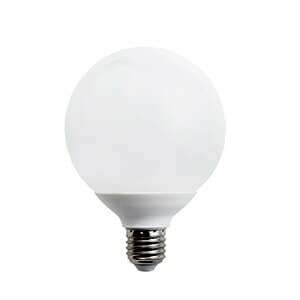 These lamps are available in normal output, high output, and very high output forms. They are great for smaller greenhouses as they can be placed within a close distance to plants without burning or harming them. They feature high radiant power within the range of 500–600nm. Metal halide and high-pressure sodium lamps are the most common high-intensity discharge lights used within growing settings. Metal halide lamps provide a good spectrum of light, yet are less efficient. High-pressure sodium lamps are the most commonly used in horticulture. They come in a wide range of specifications to fit individualised grows, and are highly efficient. LEDs (light-emitting diodes) are extremely popular within the cannabis scene. LED lamps are known for their energy efficiency, going hand-in-hand with the low overhead costs of greenhouses. Good LED lamps are also capable of great light coverage, creating an even distribution of light over plants. They also feature full spectrums of light wavelengths, making them a great replacement when direct sunlight isn’t beaming down. Why Are Greenhouses Becoming So Popular For Cannabis Growing?